Looking to build your next AR-15 rifle? The Colt AR-15 M4 Complete Lower Receiver provides AR builders with the perfect foundation upon which to construct the rifle of their dreams. 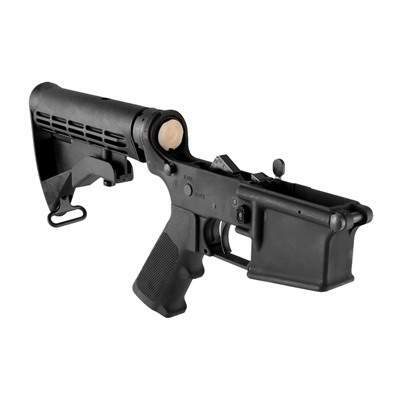 The Colt AR-15 M4 Complete Lower Receiver is made entirely from 7075-T6 aluminum and features a black hardcoat-anodized finish for added durability. The Colt AR-15 M4 Complete Lower Receiver is built using the same parts and the same attention to detail as the company’s popular line of LE6920 AR-15 rifles.